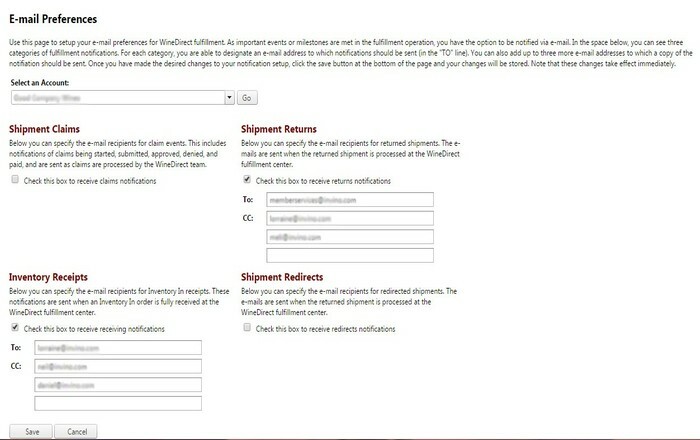 The E-mail Preferences feature gives you the option to notify your customers via e-mail when important events or milestones transpire in the fulfillment system. To opt in to receive e-mail notifications, choose Administration, E-Mail Preferences. Once you have made the desired changes to your notification setup, click the save button at the bottom of the page and your changes will be stored. Note that these changes take effect immediately.